Member Outreach Event Results in More Than 60 New Members!! 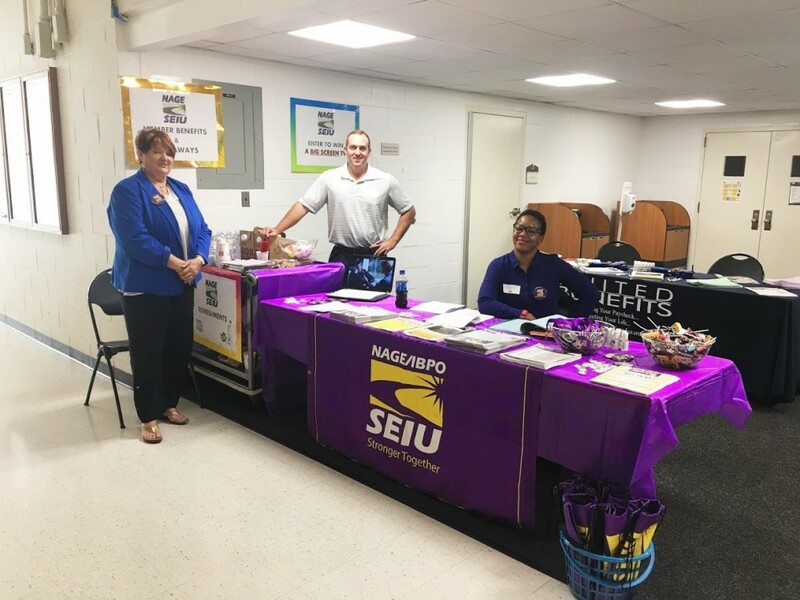 The NAGE/IBPO Federal/DC Division, in conjunction with NAGE Locals R1-32 and R1-132 and United Benefits, recently hosted a week long member event at the Bedford Veterans Affairs Medical Center in Bedford, Massachusetts to thank our members for their service to our nation’s veterans. 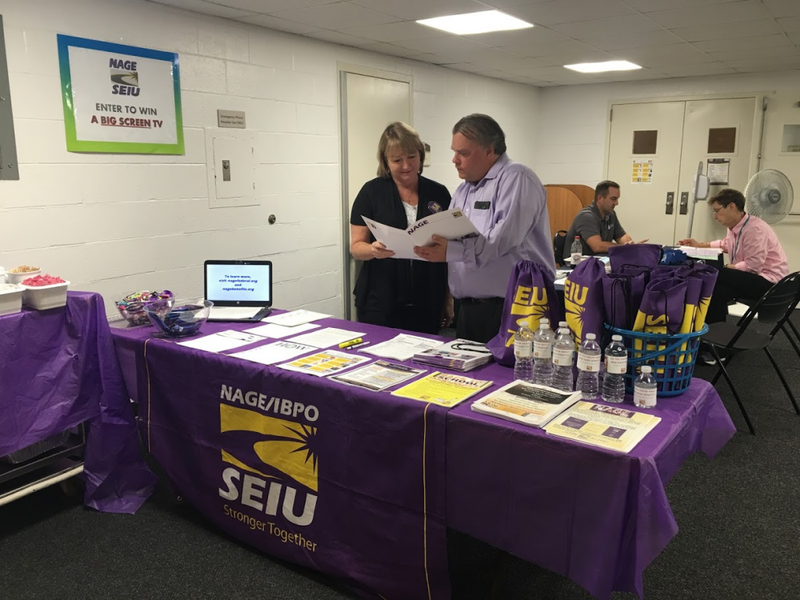 The event gave current and prospective members an opportunity to meet with National and local union officials to learn about NAGE and what NAGE is doing for our VA employee members. The outreach effort resulted in organizing more than 60 new NAGE members. 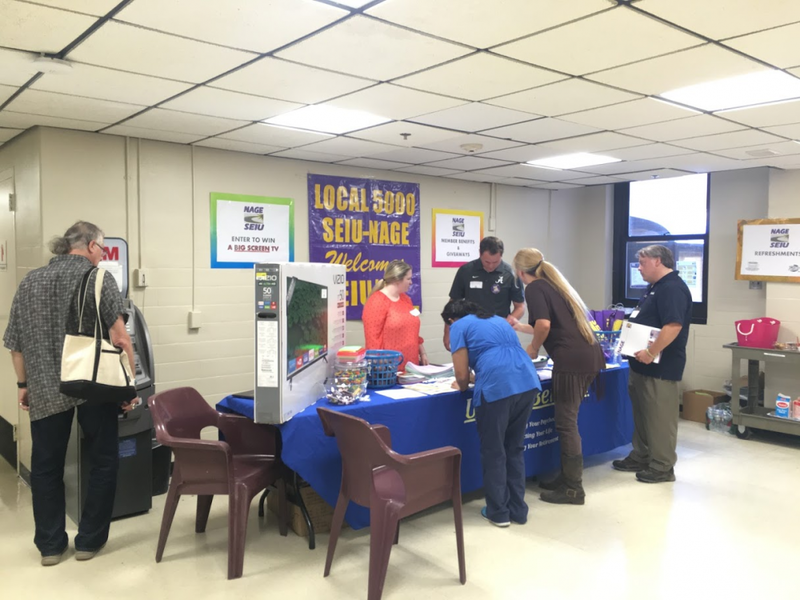 National and Local officials spoke to employees about NAGE and the benefits of membership. 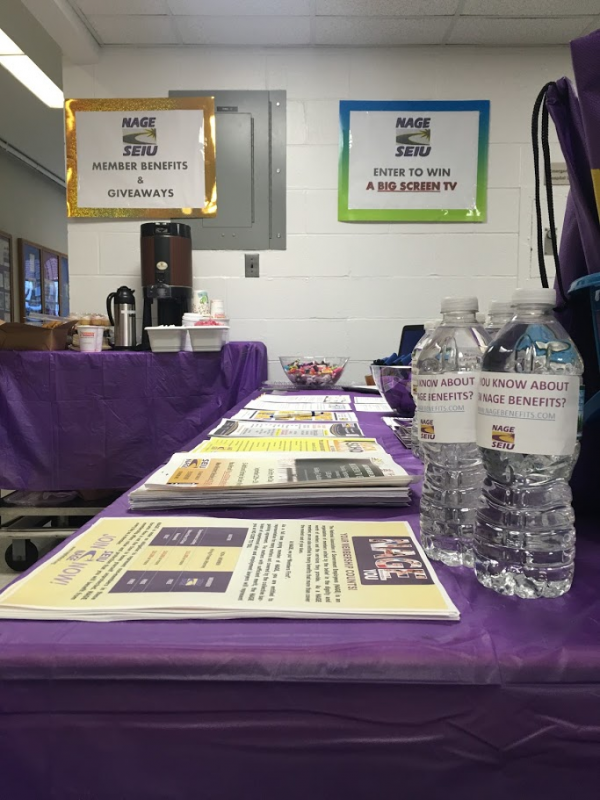 They were educated on the importance of a strong union and were given the opportunity to discuss working conditions, local leadership, and contract and policy negotiations, etc. 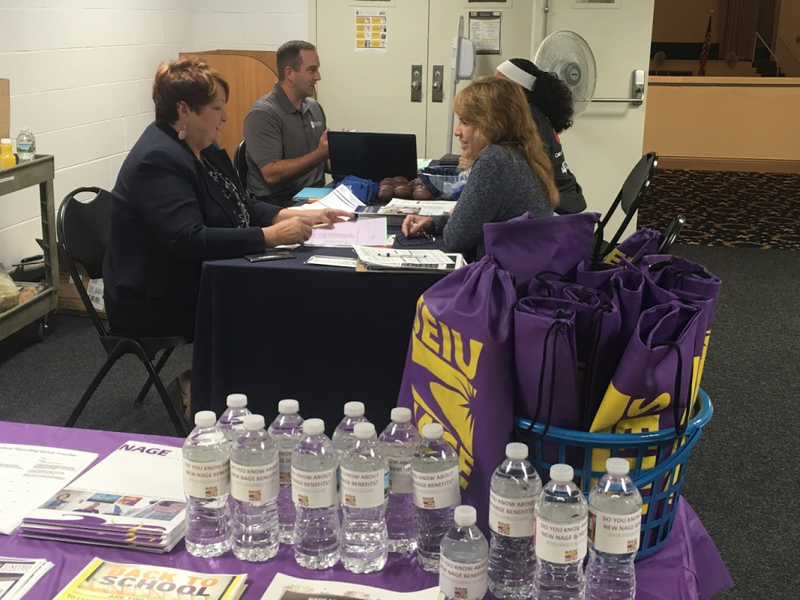 Members who participated received backpacks filled with information about NAGE, member benefits, and other NAGE giveaways. Members were also given the opportunity to win a 50 inch flat screen television. Employees were invited to participate in one of six seminars hosted by United Benefits presenting information regarding Thrift Savings Plans (TSP) strategies, Federal Employees’ Group Life Insurance (FEGLI), short term and long term disability, Federal Employees Retirement System (FERS), social security strategies, and were given tips on maximizing federal retirement. 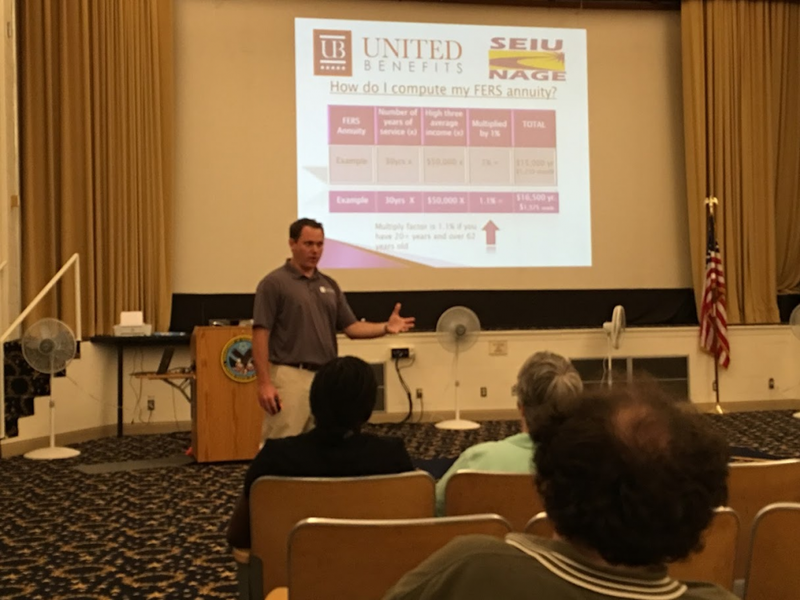 Following the seminar, members received one-on-one retirement reports from United Benefits representatives. Many members elected to participate in the additional benefits programs such as disability, supplemental life insurance, dental/vision, and many more. NAGE/IBPO would like to thank all the local officials and members for their hard work in making this event a success. We urge all of our local leaders to host member events to educate current members and encourage prospective members to join and be active in the union. Often all it takes for a person to join is to be asked. 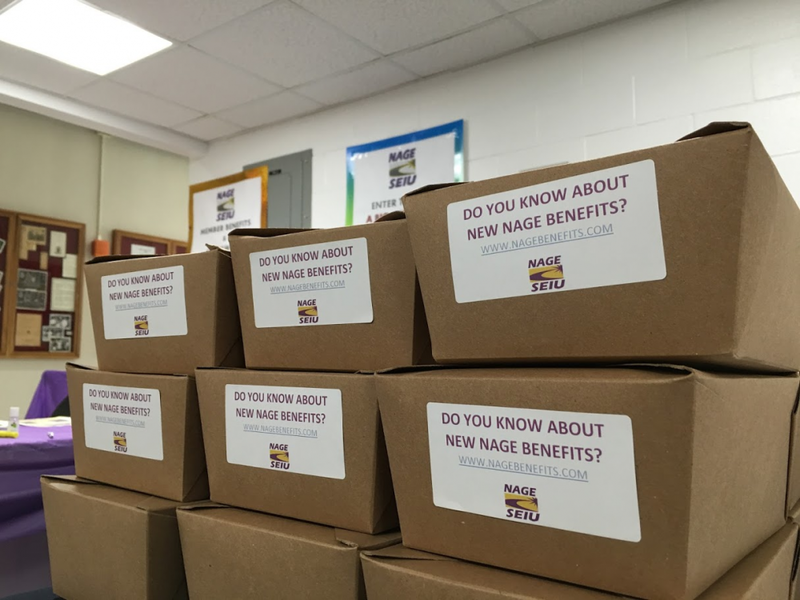 For more information please visit www.nagefederal.org and www.nagebenefits.com.